My kid has her own hashtag. That hashtag tells her story. With one exception. And so, we bid goodbye to the AAF. Let’s be honest - this is no surprise. The sports media world kind of blew up after the league’s inaugural week, when it higher ratings than an NBA game between James Harden and Russell Westbrook. Of course, that was fool’s gold. And the league league faded from the sports conversation in less than two months. It’s an interesting juxtaposition with the fact that football remains near the top of the sports headlines, with the Odell Beckham Jr. trade highlighting a month of free-agent news, trades, signings, etc. That interest would suggest that we can’t get enough football, and yet an actual football league folded due to lack of interest. There are a number of reasons why this happens. 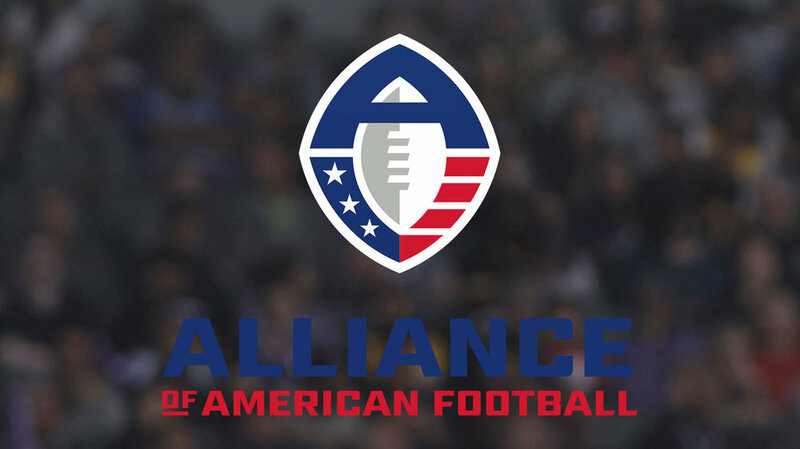 The AAF was a minor league, filled with players who weren’t good enough to be in the NFL. If they were good enough, they’d be in the NFL. Its season was during the heart of an always-interesting NBA season and the NCAA Tournament, which evolved into one of the most compelling in a number of years. There’s a certain rhythm to the sports calendar, and football in the spring never feels right. But I think the evolution of our sports media landscape, and what we focus on, is a big part of it. One of the major changes in sports media in the past decade has been the emergence of the transaction as the dominant piece of sports journalism. Game coverage has been the centerpiece of sports journalism since its inception, but as game coverage has become more commodified and less valuable, reporting on transactions - actual and potential - has become central to sports journalism. (This is the general thesis statement of the research Michael Mirer and I are working on). Taken in this view, the failure of the AAF makes perfect sense. It’s not that people are interested in football. They’re interested in the NFL. And they’re not just interested in the NFL for the on-field action, but also the transactions and off-field news. There’s so much interest in where Antonio Brown would end up, with who the Cardinals are taking with the first overall pick, with the mock drafts and free-agent speculation and the breaking news of trades, the AAF never had a chance. Several years ago, I attended my first International Association of Communication and Sport summit at Bradley University. To see an institution that celebrated all things sports media spit in the face of sports journalism is disgusting. But they’ve done just that, recently preventing longtime beat writer Dave Reynolds from attending a media event. During the 2018-19 season, the amount of access granted to Peoria Journal Star reporter Dave Reynolds was reduced. At the time his access to the Bradley Basketball program was limited, we discussed the issues that led to the policy change with Peoria Journal Star Sports Editor Wes Huett and the level of access has remained consistent for the last several weeks. Our focus is on preparing for the NCAA Men’s Basketball Championship. Notice there is no accusation against Reynolds, a respected journalist of nearly 30 years. No insinuation of wrongdoing or malfeasance. It should go without saying, but let’s say it anyway: The job of a sports journalist is not to promote a team. It’s not to make them look good. Nor is it to trash them. The job is to accurately report on what is happening with a team - good, bad, indifferent. Look, access is kind of a dirty word in a lot of media circles these days. The second a news organization publishes a story that someone doesn’t like (usually something that makes the Trump administration look slightly less evil), there are cries online that reporters are only doing those stories because they are trying to maintain their access. That’s true sometimes. But not all the time. Access to sources is not critical to journalism but it is vital - especially to primary journalism. The kind of local reporting that feeds the national commentary stream. A core part of the job is interviewing sources. This is not to say that Reynolds can’t do his job because his access has been limited. But it makes that much more difficult, for no reason. His job is not to promote Bradley University. It’s to report on it. And Bradley University denying him access simply for doing his job is inexcusable and wrong. Baby Sports Media Guy, beardless, glasses-less, celebrated my first study. Nine years ago today, I presented my first paper at my first academic conference. I was a master’s student at the Newhouse School at Syracuse. My research partner Liz Woolery and I presented an experimental study we had done for Dr. Pam Shoemaker’s quantitative research methods class at the AEJMC Midwinter Conference at the University of Oklahoma. It’s funny to look back on that trip. When you’re a graduate student, conferences matter so much. You’ve never done anything like this before, or you’ve only done a few, and you’re thinking about the doctoral programs you might apply to or the jobs you want to get. I can remember practicing this presentation with Liz over and over and over again, making sure we had things just right. This study examines whether consumers view higher-cost news sources as more credible than lower-cost ones; print news as more credible than online; and whether there is an interaction between cost and platform in regard to credibility. Remember, this is from 2009-2010 This was a weird, interstitial time in journalism. We were fully in the online world, but things were much more in flux. We knew that print wasn’t the future but didn’t have a good map for the online business. Social media was new and seen as a powerful force for good. 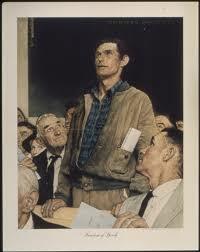 Citizen journalism was the buzzphrase. It was still a year before Netflix separated its streaming and DVD services. Streaming music were a blip on the radar. Newspapers were starting to try paywalls. There was still a lot of debate about whether people would/should pay for online content. The whole “information is made to be free” ethos was still very real. That was the environment we did this study in. You can read a version of it here. Be warned - it is an excellent study by two first-year grad students. Liz is now doing incredible work as the deputy director of the Center for Democracy and Technology’s Free Expression Project. And I’m still here, writing about the business of digital news. Because with the growth of subscription media online, the sustained success of The Athletic and the general evolution of paying for digital news, our study feels incredibly relevant almost a decade later. The current economic model for online news is free distribution, whereas people pay either per day or per subscription for newspapers. While consumers do have to pay to access the Internet in general, they do not pay for the news source itself. However, this study shows that, a newspaper could charge more for its online edition than for its paper edition and still retain high news credibility. In fact, the data show that a newspaper that charges more for its online content had its stories viewed as more credible than other news sources. From a credibility standpoint, newspapers would benefit from charging a higher cost for their online content. At the same time, many newspapers are raising their newsstand prices, due to a combination of falling profits and rising production costs. From a credibility standpoint, this would be one of the worst things a newspaper could do. High-cost print news ranked as the least credible in this study, behind lower-cost print source. And since one of the precepts I live by in teaching is that I never want to ask my students to do something I’m not willing to do myself, it’s time to restart this newsletter. So welcome back to the Sports Media Guy newsletter. I’m trying to get back into the habit of writing regularly. This will give me both the chance and the deadline to do so. 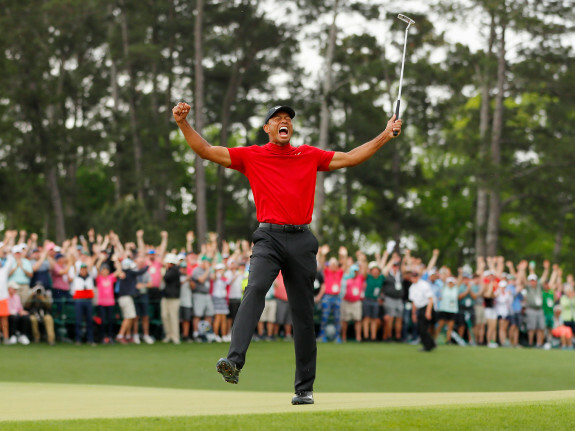 The top five pieces about sports journalism from this week. The idea of this newsletter is to be a central place for news about sports journalism. Not necessarily sports media (there will rarely be any talk of TV ratings here), but sports journalism. If sports journalism is my scholarly beat, then this is the place to aggregate news on this. To paraphrase Will Leitch, if you’re subscribing to my newsletter, I figure there’s a decent chance you’d be interested in my other work I do. So I’ll include links to posts on Sports Media Guy and to episodes of The Other 51 and The Flip Side. If you enjoy them, I’d be honored if you considered subscribing at the links provided. I think there were good reasons to believe the benefits of advertising typically accrue at the platform level. They used to accrue to newspapers, where newspapers — because they control printing and distribution — were essentially platforms, with near monopolistic reach and therefore colossal pricing power. Once you take those advantages away, the model collapses, and instead it’s the major digital platforms who have the same kind of quasi-monopolistic advantages of distribution. This is a really eloquent description of the situation facing newspapers, and I haven’t heard it put like this before. In the pre-digital era, newspapers were platforms. But today, Facebook and Google are platforms. Advertising works at their level, which explains in part why the digital ad market for newspapers has cratered. But overall it’s the indispensability of The New York Times, and The New York Times being the center of lots of conversations. I think that’s very good for the indispensability of the brand in many people’s lives. I think, firstly, I’m definitely an optimist on the level of consumer demand for quality content. In other words, I believe that if you’re producing journalism of value, there is no reason to expect that consumers wouldn’t be prepared, in some way, to support that — potentially to pay for it. This fits with my theory of subscriptions. The key, as I’ll say again and again, is to provide readers with something they can’t live without. Not something you think they can’t live without, or something you think they shouldn’t live without. Something that is truly indispensable to them. @Bharper3407 are you more interested in money or playing for a good team and organization? If it’s about money I think that motivation doesn’t show me your desire to win. You know the #phillies are good organization and team so what’s the issue and holdup. So it is about money! Big player contracts are always framed in an interesting way by sports media. It’s rare that the player is seen in a positive light by fans and media after signing a deal like Machado’s or like the one Harper will sign. Historically, coverage of player contracts has been incredibly anti-player (dating back to the coverage of Joe DiMaggio’s holdout in the 1930s). Why is this? A few reasons. But one of the main ones is our old pal The Sport Ethic. The worldview of elite athletes features, as part of it, the desire to win above all else. To be an athlete, you are supposed to care about your sport and winning above everything else. To do anything else is to betray you’re calling as an athlete. And to take the money from a lesser team, you are seen as betraying that which makes sports special.